Official Facebook statistics published in December 2o15 showed that the world’s largest social network had approximately 934 million active monthly users accessing the platform through mobile. With that in mind, it’s not hard to see why the Facebook app is one of the most installed applications across Android and iOS. Facebook may be accessed on mobile by close to a billion people each month, but is it taking its mobile responsibility seriously? A deeper look into how the app performs from a power preservation perspective would suggest not. It’s now been discovered through a series of tests that uninstalling the Facebook app from your iPhone could potentially save up to 15-percent of battery life. Those figures are based on entirely removing the native app downloaded from the App Store, and choosing instead to access Facebook’s mobile site from Safari. This has come to light after it was discovered that moving away from the Facebook app on the Android platform could potentially preserve an additional 20-percent battery life. If that’s the case for Android, then it was deemed that it would likely be the same on iOS, and it looks as though it is. The person who was responsible for the discovery, shifted to using Facebook’s mobile site via Safari for a week. The discovery involved taking a fully charged iPhone 6s off charge at 07:30am each morning, and then recording the battery life at 10:30pm each evening after usage. After a week of going through this process it transpired that there was an average of 15-percent more battery life at the end of the day when accessing Facebook through Safari. 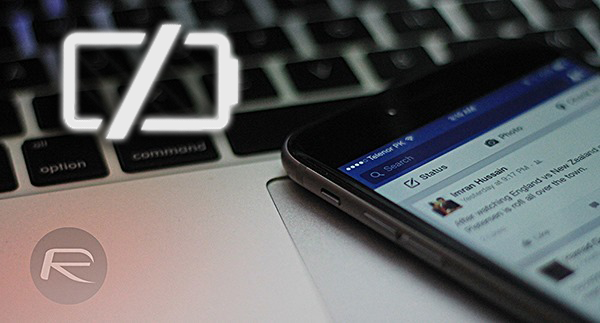 It may have been proven to utilize less battery, but would you choose to fall back to the mobile web for your Facebook use? Or just accept that you will lose a bit more battery life to enjoy the native experience? Facebook’s mobile apps have come in for a lot of scrutiny over the years, which to be honest, is something that you would expect given the company’s place in the public eye. There are always going to be bugs that exist in any application, and more so in apps that come with a huge underlying codebase like Facebook’s. With that said, Facebook has also been accused in the past of treating the battery life of installed devices with distain by utilizing some background magic to keep the application active when it’s not being actively used. That of course comes with a battery life trade off. This news doesn’t get me surprised. I’ve uninstalled the Facebook app a long time ago (last time I had that app installed I was on iPhone4). My phones never worked better since then! I really don’t see why I would go back to that package of garbage software. Does that also apply to the Messeger app? Or is it just the Facebook app that takes all the battery? If you fb through the browser, you don’t need the separate Messenger app. it’s in the browser version by default. It’s the background activity in iOS Fb that uses more battery life than is necessary – you can see this in newer iOS versions. In Safari (at least) when you close the browser window it uses nothing, as that’s how Apple designed it to work. Messenger app doesn’t seem to have any issue. It’s also has relatively no tasks to run as its works like email via Push Tasks. Facebook is terrible though, when I had it I barely used it and it would take 30-35% by mid day. Just discovered? It’s been like this for a long time. If you don’t need instant updated then just poll via a browser. Do the same for other apps, like Twitter. Someday FB will get it right. They should look at email and the difference between polling and push notifications. 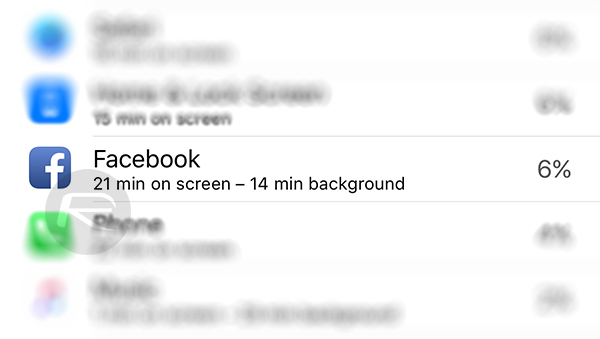 Or just turn off Background App Refresh for Facebook app. Turn off the Background App refresh for Facebook app and also turn of the notifications then you will save the same amount of battery. Even if you disable background app refresh and leaving just notifications can cause you battery drain. So, disable both and see the diff. I use the ‘paper’ app instead of the ‘Facebook’ app and haven’t notice any battery issues.